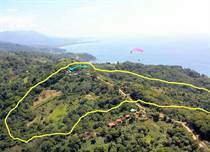 Beach properties are a very common request in Costa Rica; however, it is very rare to find titled property right on the beach. Beach front property is almost always Concession property meaning it is technically leased from the government, therefore buying titled fee simple property in close proximity to the beach is recommended. 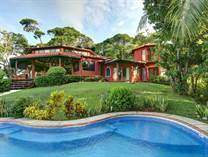 There are titled properties as close as across the street from the beach and in the various beach towns and surrounding mountains with ocean views. 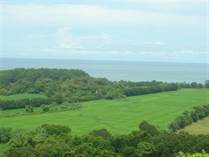 Beach Town listings are those with in a 15 minute drive to the closest beach and vary from right next the beach basically at sea level to 1,000 feet plus of elevation with panoramic ocean views and fresh breezes. 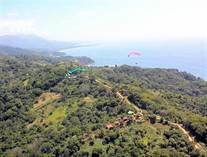 Beach towns and communities in the Dominical Area and Costa Ballena include: Playa Dominical, Playa Dominicalito, Playa Matapalo, Hatillo, Uvita, Ballena, Ojochal, Baru, Escalares, Lagunas, Manuel Antonio, and Quepos. 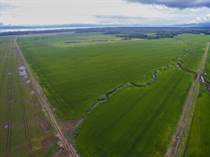 "517 Acres for Resort/Planned Community"
"The Best Farm in the Entire Zone !!!" 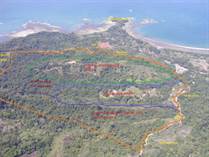 "Investment / Development Opportunity / Near Corcovado National Park"
"Eco-Lodge and Land of Over 2,200 Acres"
"Big Price Drop Over $1.8M"
"Great Location / Incredible Ocean Views / Waterfalls, Streams & Ponds!" 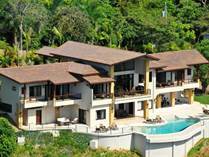 "Amazing Ocean Views / Easy Access / Rental Income Producer"
"Jade House - Luxurious Home in Escaleras, Dominical"
"The Ultimate for Privacy and Luxury"
"Amazing Ocean Views / Near Manuel Antonio National Park"
"Spacious and Elegant / Dramatic Ocean Views and Abundant Wildlife "
"Elegant Estate Home with Outstanding Whale's Tail Views"
"Profitable well established Villas in beautiful area"
"Panoramic views of land, sea and sky"
"Develpment Jewel of Dominical w/ 2 Homes"
"Big Price Drop Over $1M!!" "Some of the Best Development Land Around"